This is one of those recipes I can say I grew up eating. My first exposure to International Cuisine I am sure must have been Chinese, and I can bet I am not alone when I say that. The Fast Food Caravans serving Chinese were such a trend during my growing years and their Hakka noodles and Chicken Chili were my favorite treats, though i know the Chinese could have me killed for calling the stuff that they sold on the Caravans ‘Chinese’ in the first place. 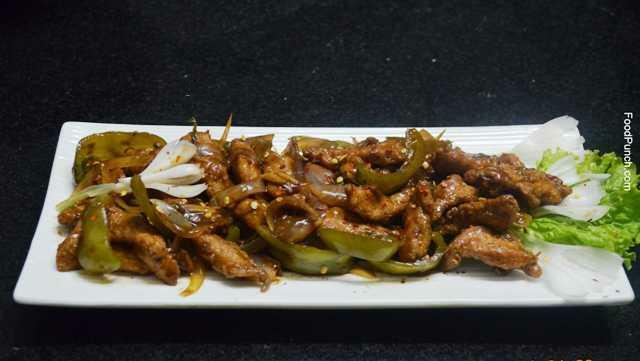 Chinese Chicken Chili continues to remain one of the favorite starters till date. We love it for its crispy & fiery punch of flavors. 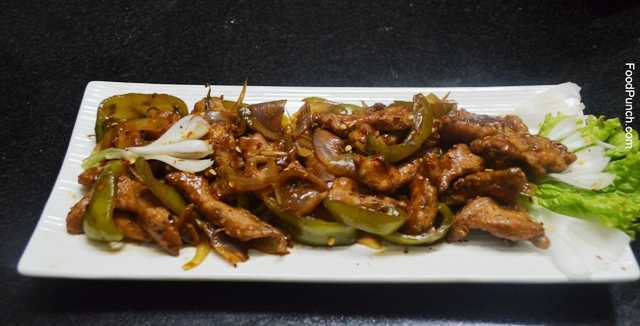 I had already some 250 gms of chicken breast , the extra that i had kept frozen while making Mexican Chicken Enchiladas. Well, with the chicken already there I could immediately get started with my dish, but the frozen Chicken had to be defrosted first. I usually either defrost the meat in fridge or leave it at room temperature but on occasions like today when I don’t have all that ‘time’ the microwave comes handy. The amount of chicken I had was enough to make two of us a plate full of our favorite starter, Chicken Chili. 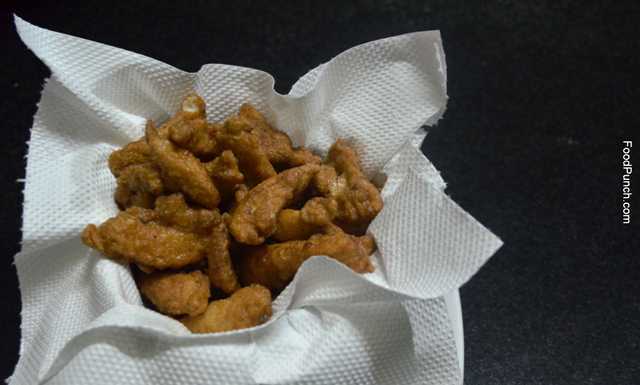 Heat oil in a deep frying pan and fry the chicken till it turns golden, strain on a blotting paper. 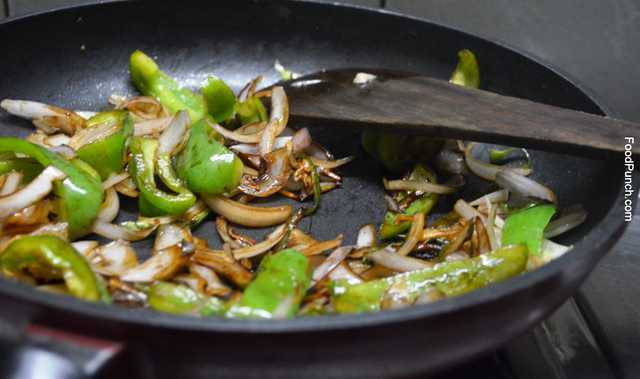 Add garlic and fry for 30 seconds, then add the green chilies and fry for another 30 seconds. 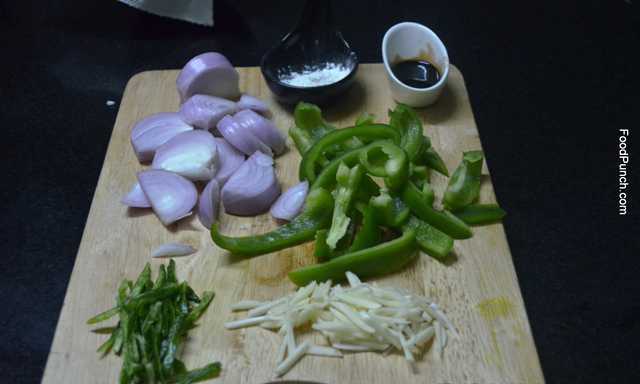 Then add the onion and capsicum and fry together for about a minute. Add some salt, followed by the remaining soy sauce and chicken, give a quick toss. Pour in the entire cup of Chicken Stock, click for the recipe. Mix the rest of corn flour in some water and add while stirring continuously. Add another pinch or two of salt, some black pepper and the red chili sauce. 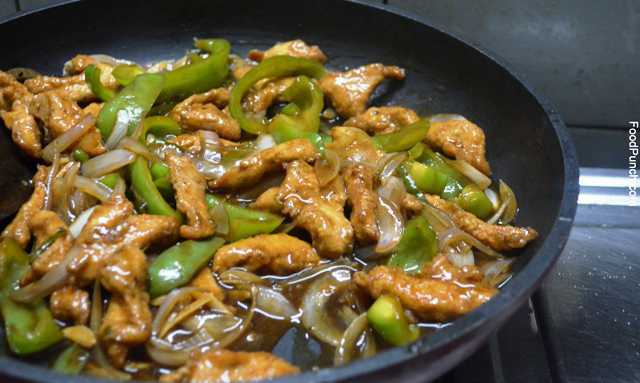 Cook till the sauce thickens and is completely reduced over the chicken and veggies. 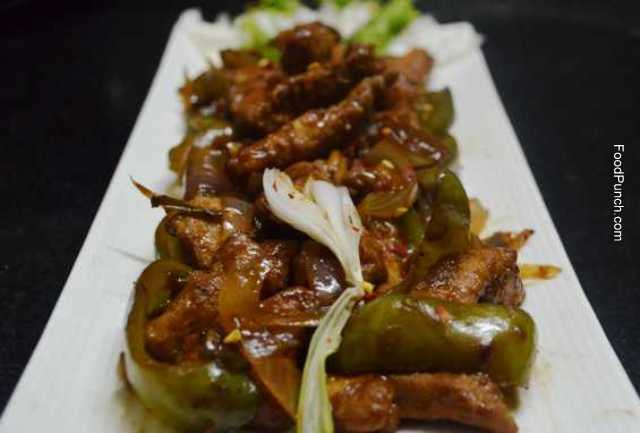 Serve the hot Chili chicken dressed up with red chili flake. 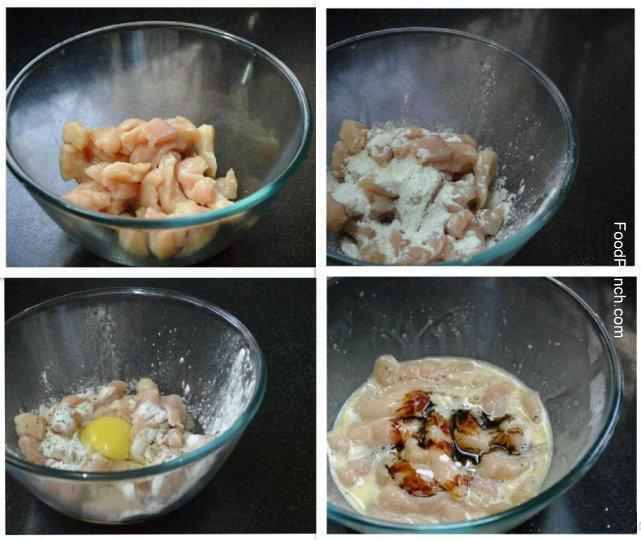 i love cooking….so im jst follow’g d recipes…. Thanks Genevi.. Glad you liked it . This recipe is absolutely amazing!